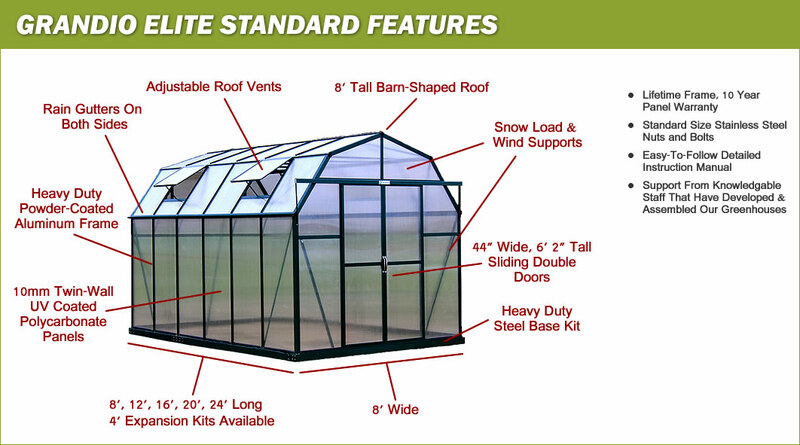 Why choose a Grandio Greenhouse? Scroll down to view/compare features of all our models. Our lifetime frame warranty and 10-year panel warranty do more than give you peace of mind; it’s a commitment from us to maintain a high degree of quality, dependability and reliability. 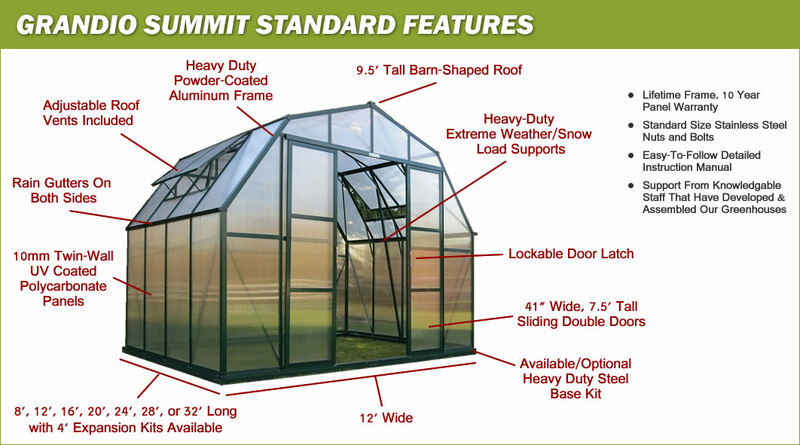 Our Grandio Greenhouses are custom made to meet the highest standards of the professional gardener and quality manufacturing to withstand extreme wind and weather conditions. 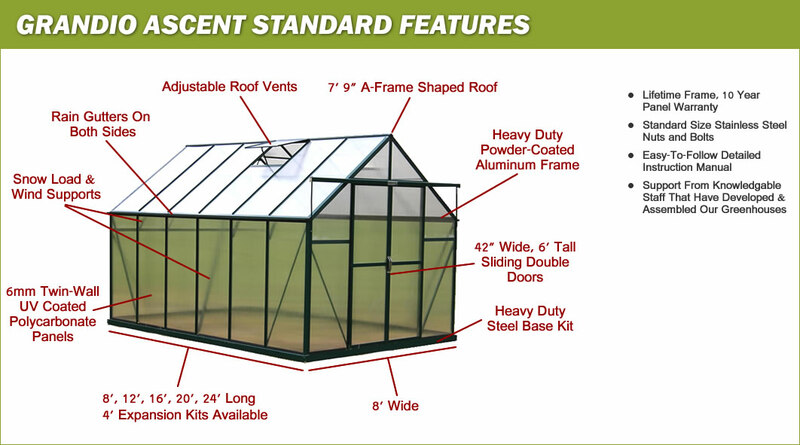 Made to meet the imposing standards of amateur and professional gardeners, the 1.6mm profile aluminum frame provides a stronger and more durable build than its competitors. 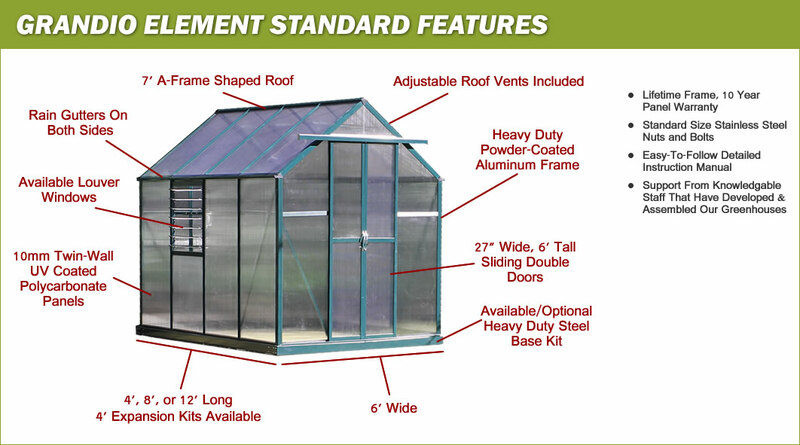 And the heavy-duty construction coupled with 10mm or 6mm twin-wall polycarbonate panels is a perfect thickness for winter insulation.